Presented in Rome the reasons for the public discussion on the shipment of Italian weapons to the Middle East for the war in Yemen. “Let’s close the ports to bombs and open them to people“. 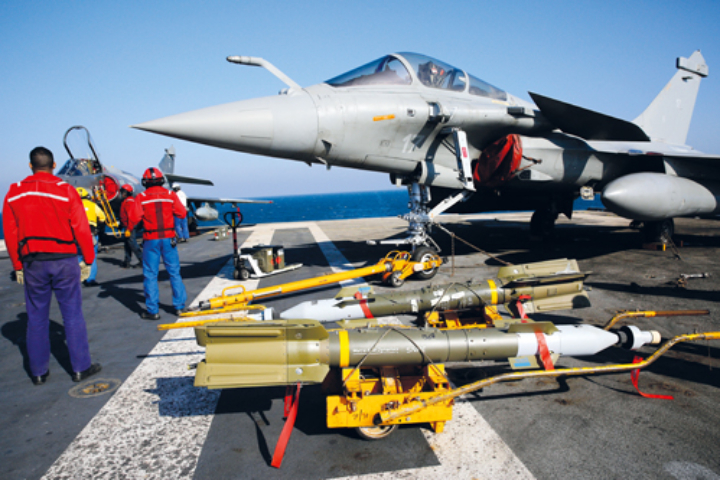 Why are there always problems in getting migrants to land, while we stand idle in front of the umpteenth shipment of bombs to Saudi Arabia to be used in the ongoing war in Yemen? 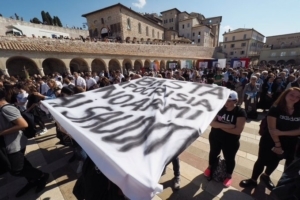 As the mayor of Assisi, Stefania Proietti, says, the problem is that in our country we are sort of “patisserie pacifists,” good at organizing colourful rallies, but unable to affect the reality of things, which is the essence of politics. Yet, at the end of 2018, a movement started in the city of Saint Francis, trying to bypass the rubber wall erected in Parliament regarding the Italian responsibility in a conflict – which is allegedly been forgotten – where schools and hospitals are ordinary targets. Discussing a motion in the city council can be pure rhetoric for local authorities struggling with so many problems or become the trigger for exercising a popular sovereignty that seems lost. The “mozione Assisi”, (Assisi motion), which calls for a stop to bombs and a commitment to the economic reconversion of the territories cut off by the crisis, has now been approved not only in Assisi, but also in Cagliari, Bologna, and Verona. And many more municipalities are now willing to join them. Bringing it up for discussion in Rome means trying to speak to the world because the City of Rome, despite facing enormous daily problems, has always had such universal projection as its vocation. This is the reason why, on the evening of Monday 28 January, a considerable number of local and national networks and movements proposed a lively conference-debate in the city hall, starting with Ms. Proietti’s testimony. She is a very pragmatic person indeed, because, in her capacity as an environmental engineer, she reported about the situation of Italian companies that are in the front row in the field of renewable energy sources, but they are hindered in their growth in Sardinia, i.e. precisely on the island where the occupational blackmail of bomb-making by RWM – a company controlled by the German giant Rheinmetall Defence – is carried out. Technological innovation and respect for the environment are multipliers of employment if there is a political will in this direction. And here you cannot avoid a reference to Giorgio La Pira, the mayor of Florence whose tangible pragmatism urged to influence the economic levers so as not to be forced to settle for the “weak power of sermon“. These issues call into question the industrial policies of our country, which is turning a blind eye on the supply of arms to countries at war. Law 185/90, which prohibits it, has been cleverly bypassed, and the only thing you need to do is enforcing it, also because it implements the Constitution and was approved, at the time, only thanks to a strong grassroots initiative. This point has been highlighted in the meeting in Rome by Father Tonio Dell’Olio, long-time coordinator of Pax Christi and founder of Libera International, and now president of Pro civitate christiana in Assisi. Can this path, which originates in the provinces, be followed again today in Rome and in the rest of Italy? Against all scepticism “the challenge is open and you just have to take it seriously,” as all opinion-makers who gave their contribution after Memorial Day have said. As always, in fact, there is no point in locking oneself up in generic formulas, such as “pacifism” or similar things, because what matters is not losing our humanity. The proposal on Rome’s issue was submitted by: the Italian Section of the Focolare Movement, Un Ponte per…, Arci, Pro Civitate Christiana Assisi, Libera (Associations, names and numbers against the mafia), Gruppo Abele, Fondazione Finanza Etica, Istituto di ricerche internazionali Archivio Disarmo, Movimento Nonviolento Roma, Rete della Pace, Pax Christi, Amnesty International Italia, Globalization and Environment Commission of the Federation of Evangelical Churches in Italy, Rete Italiana Disarmo, Associazione Città per la Fraternità, Agenzia Adista, Associazione Comunità Papa Giovanni XXIII, Associazione dei Sardi di Roma “Il Gremio”, and Cipax – Interconfessional Center for Peace.